She moved to Amsterdam in the Netherlands to work as a Desk Editor for Elsevier Science Publications, editing and compiling books and journals including Journal of Hazardous Materials, Journal of Occupational Accidents, and Cold Regions Science and Technology. After realising the publishing industry wasn’t entertaining enough for her, Linda returned to the U.K. and studied at Imperial College in London, graduating with a Master’s Degree in Applied Optics. She went on to work at GEC’s Hirst Research Centre as a Research Scientist, specialising in III-V semiconductor materials. This led to an academic post at London South Bank University where Linda taught physics to electrical and electronic engineers for fifteen years. Linda is the sole author of the undergraduate textbook The Essence of Solid-State Electronics and has published several articles and papers including EDWARDS-SHEA, L., “A Reliable Method for the Etching of vee-grooves in Indium Phosphide,” GEC Journal of Research, 3(1), 55-7 (1985). Linda tutors maths, statistics, physics, engineering and English as a Foreign Language. Academic tuition includes GCSE, IGCSE, Baccalaureate, AS/A-level, Pre-U, BTEC, BSc, MSc, and project work. Professional tuition includes CII, QTS, FRM, GMAT and other aptitude tests. 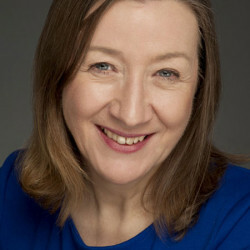 Linda was Co-Founder of the Women in Engineering Centre and Founder and Course Director of the Common Engineering Foundation Year at London South Bank University. She is ex-Honorary Secretary of the London and South-East Branch of the Institute of Physics Specialties: Scientific research, teaching and lecturing, committee work, course design and management, report-writing and preparation, manuscript editing, negotiation, women’s rights, women’s equality. This entry was posted on Wednesday, April 17th, 2013 at 1:53 am and is filed under Professors . You can follow any responses to this entry through the RSS 2.0 feed . You can skip to the end and leave a response. Pinging is currently not allowed.